It will have been a year tomorrow since my first blog event, and whilst that’s not a massive anniversary to shout about it was the first time I got to meet other bloggers IRL and to finally meet my girl Kris after months of comment flirting back and forth. The event in question was Scarlett‘s first #BloggersFestival which Kris invited me along to as a plus one and since then I’ve been hooked. Hooked on Scarlett’s awesome planning and events, hooked on meeting old and new friends every few months, and hooked on enjoying every second of this blogging industry. Okay, sop over, as last week I hot footed it down to Central once again to hang out with Kris, Ally, Elle and Jordan at the Conrad London St James Hotel for the annual September event, and this year was even better than the last (if at all possible, Scarlett you’ve done it again) – loads of new brands, bloggers and more goody bags which I think cut off more circulation than last time. That’s an achievement. If you want to see more of our day then enjoy the vlog above – it was hard to take loads of photos as I was enjoying myself too much chatting to brands and friends but that’s the beauty of YouTube right? Just film all the good bits! Thank you again to everyone who came up to me and said hello, it was so nice and I want to give you all a big hug and if you didn’t catch me this time then I’ll make sure to give you a squeeze next time – promise? Promise. 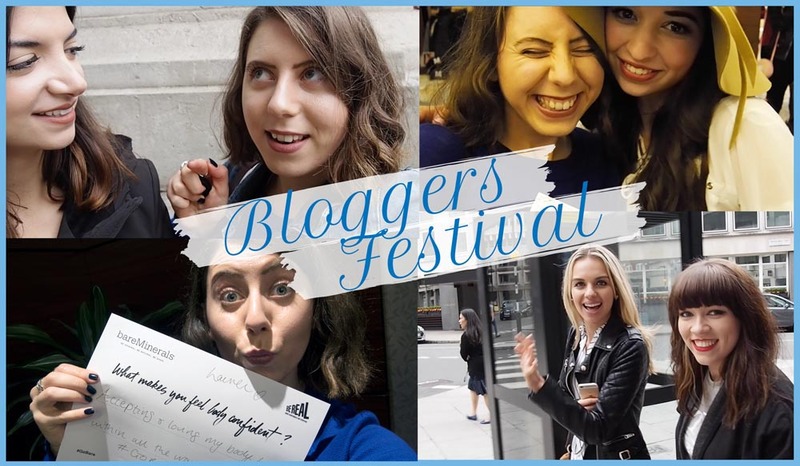 Don’t forget to give the video a thumbs up you went to #BloggersFestival too and enjoyed the vlog, and don’t forget to SUBSCRIBE for new videos every Tuesday at 9am – let me know what you’d like to see on the channel too!